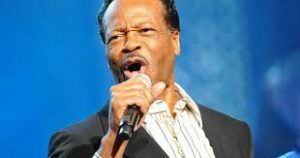 Grammy winner and friend of Agape, Edwin Hawkins, passed away January 15th at age 74. 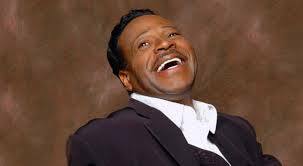 He was a World renowned gospel singer, after his top hit “Oh Happy Day” reached the top 10 on the pop charts in 1969, and was on the Songs of the Century List. It also hit #2 on the charts in the UK, Canada, Irish Singles Chart, and #1 on the French Singles Charts and German Singles Charts. “Oh Happy Day sold more than 7 million copies worldwide. 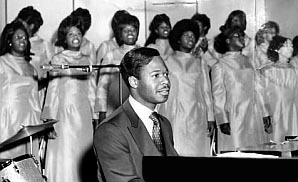 It was evident that Hawkins was anointed for music at a young age. He was a keyboardist by the age of 7 while accompanying his family’s gospel choir in Oakland, California. He is also credited for co-founding the Northern California State Youth Choir for the Church of God in Christ alongside Betty Watson. He was also one of the originators of the urban contemporary gospel sound. Throughout his life he was not only a pianist but also a choir master, composer, and arranger. 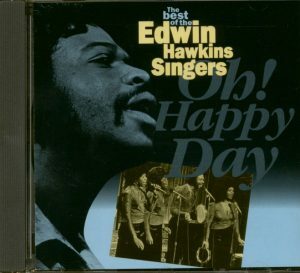 Edwin Hawkins helped to change the face of gospel music all over the world forever. Regardless of boarder lines, language barriers, ethnicity, or style of worship, the gospel of Jesus was spread through song because of him. We are so thankful to have been able to have Hawkins perform at Agape. The gospel music industry will never forget the legacy that he left behind. Join us for Women's Fellowship every 2nd Tuesday of the month at 7:00 pm. Our meetings are now being held at Cafe Ole (210 N Milwaukee St, Boise, ID 83704) until further notice.